Accessibility The National Park Service is committed to making facilities and programs at Herbert Hoover National Historic Site accessible. Parking All parking lots have spaces reserved for vehicles which are properly marked with a disability parking permit, such as a license plate or government-issued hang-tag. Walkways The historic nature of the site may make visiting difficult for people with disabilities. Most of the ground around the historic buildings is level. The wooden boardwalks may be slippery when wet, so please watch your step. If you plan to tour the historic buildings, it is advised to bring someone to assist you. Service Animals Service animals, such as seeing-eye dogs, are allowed in buildings while performing their work. Visitors With Mobility Impairments Hard-surfaced walkways and ramps lead to all publicly accessible buildings and picnic shelters. 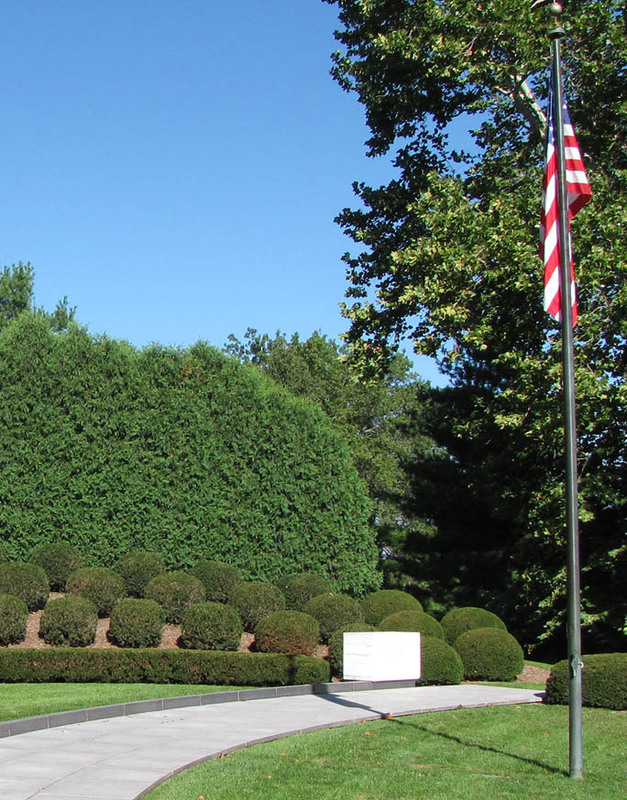 An accessible walkway leads to the graves of President and Mrs. Hoover and to a ground-level observation deck in the tallgrass prairie. Visitors With Hearing Impairments Adventure and Great Undertakings, the 12-minute film shown at the Visitor Center is captioned. Assistive listening devices are available from the front desk. The Herbert Hoover NHS mobile app has text descriptions of all audio features. Visitors may borrow hearing aid adapters for accessibility devices, also from the Visitor Center. Teletypewriter for the Deaf (TTY) may be called at (319) 643-2594. Requests for information may also be e-mailed or faxed to (319) 643-7864. Visitors With Sight Impairments - Visitors may get a Braille transcript of the park map and guide from the Visitor Center. Download the transcript (BRF file) for compatible devices » * Entrance fees are free with America the Beautiful Pass. Pass may be obtained in person at a federal recreation site or through the mail using the application form. The cost of obtaining an Access Pass through the mail is ten dollars ($10) for processing the application (the Pass is free). Applicants must provide documentation of permanent disability and residency or citizenship The parking lot adjacent to the Village Green has handicapped parking spaces. A paved sidewalk leads to a drinking fountain and some picnic tables.